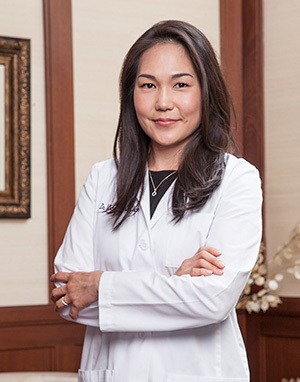 Dr. Chan received her bachelors in science in microbiology from the University of Florida and her doctorate in dentistry from the prestigious New York University College of Dentistry. She believes that education should not end with her receiving her doctorate. She is committed to staying current with the latest technologies and advances in dentistry by attending continuing education courses. She is part of the Frank Spear continuing education continum, and is also CEREC, E4D, and Invisalign® certified. Dr. Chan is dedicated to understanding the needs and desires of each patient. She takes great pride in providing the best dentistry has to offer in creating a personalized smile for every patient. Her philosophy of dentistry is to treat every patient in a manner that she would expect to be treated; with sincerity, respect, professionalism and compassion. Dr. Chan is the occlusion, bite, and Temporomandibular Joint (TMJ) expert at Linhart Dentistry. With her knowledge of the jaw joint and muscles, she can transform and smile and make patient’s comfortable with their bite! Dental Education: New York University College of Dentistry Doctor of Dental Surgery (DDS).